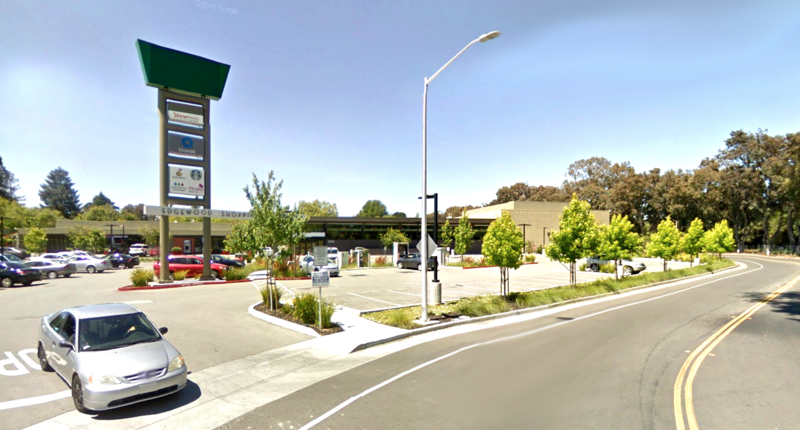 An empty grocery store that spawned a legal battle in Palo Alto has a new tenant. The Market at Edgewood Plaza welcomed customers for the first time yesterday (Dec. 1), with neighbors seeming thrilled to have a local supermarket for the first time in almost three years. Smiling employees passed out samples of cheese, cherimoya fruit, fresh-baked bread and chewy ginger cookies in the clean, attractive store. In addition to produce, a meat counter, organic dairy and dairy substitutes, the store features a bakery with cakes, breads and cookies baked in-house, an extensive cheese counter and a deli and prepared food bar with a few tables to dine at. The store favors higher-end brands and organic options, with prices seeming to hover somewhere between Trader Joe’s and Whole Foods. A dozen eggs can be had for between $3.59 and $6.79, but even the cheapest option was cage- and antibiotics-free, from chickens fed a vegetarian diet. A gallon of milk costs between $4.90 and $8.99, and a loaf of bread anywhere from $3.29 and $4.49. The store also offers a selection of wine and domestic craft and imported beer, with a smaller section for hard alcohol. 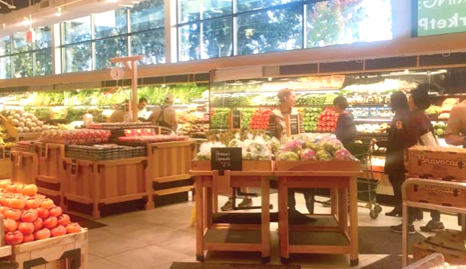 The Market at Edgewood replaces Fresh Market, which closed its Palo Alto location, along with its other California stores, on March 31, 2015. “I’m very pleased with it. I think their fish market is so much better than what the other one had,” said Carol Broad, who said she lives within walking distance of the market. But Fresh Market remained in its 10-year lease and kept paying rent for the 20,600-square-foot building, and the plaza’s developer, Sand Hill Property Co., let it sit empty. Meanwhile, the city levied fines of $5,000 a day against Sand Hill for allegedly violating the terms of two Planned Community zoning ordinances requiring it to use the building as a grocery store for the life of the project. The city had passed those two ordinances specifically to allow Sand Hill to redevelop Edgewood as a mixed-use project, with 10 new homes built. Sand Hill stopped paying the fines on Jan. 22, after paying $700,500. Today, those fines total more than $1.3 million. On Oct. 17, lawyers for Sand Hill and the city argued the case in Santa Clara County Superior Court after Sand Hill sued the city on April 24. Judge Peter Kirwan has until next month to issue a ruling. 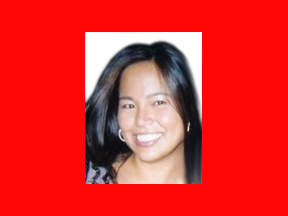 Palo Alto Housing Corp. CEO jumps to Peter Pau’s Sand Hill Property Co.